Seated under the bright night sky with twinkling stars and majestic moon over, the cool wind blowing around us while we watch the short films created by aspiring filmmakers from different universities in the country, it was indeed one of the most nice way to be part of something that gonna turn big someday. 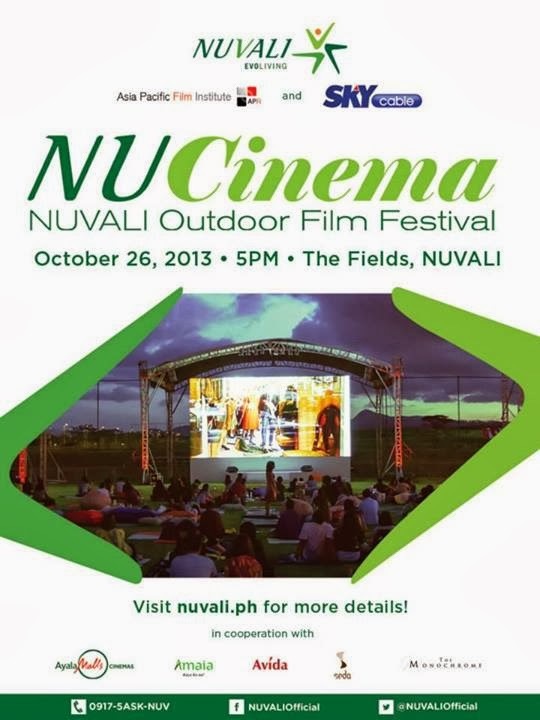 Congratulations, NUVALI for the successful 1st NuCinema: NUVALI Outdoor Film Festival! 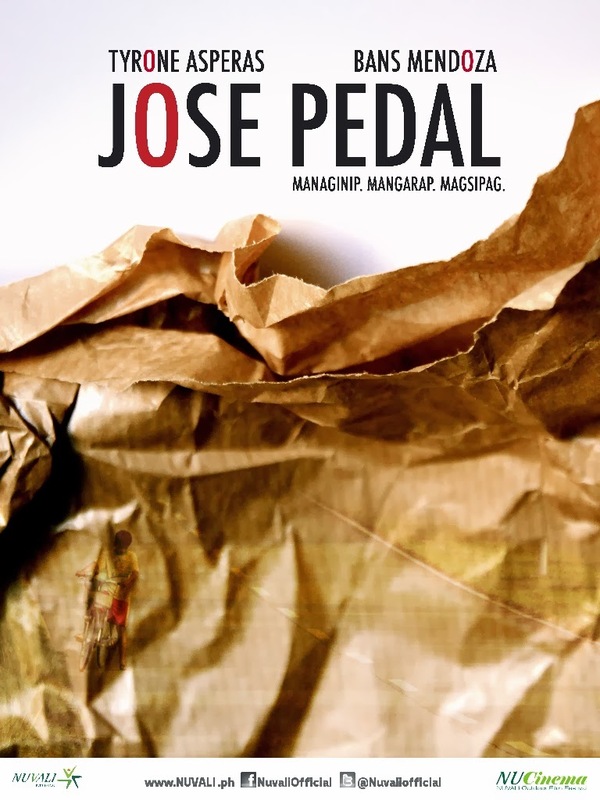 Fifteen short films were listed as finalists for the first-ever outdoor film festival, our night at the NUVALI Field in Laguna last October 26 was inspired and made sweeter and more memorable by two more films shown that night, Jeffrey Jeturian's "Ekstra" and Hannah Espia's "Transit." 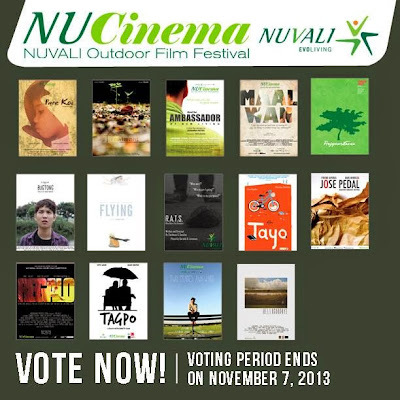 Organized in association with the Asia Pacific Film Institute, SkyCable and Ayala Cinemas, the NuCinema: NUVALI Short Film Competition, which aims to uplift, promote, and celebrate the local film industry and help new talents as well to realize their dreams of becoming filmmakers, started the film showing under the moon. 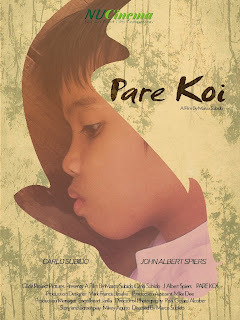 The competition, which is divided into two categories - Professional and Novice Categories, is judged by seasoned directors and producers Paul Soriano, Jeffrey Jeturian, Jade Castro Spring Films producer Lucky Blanco. The 15 shortlisted films will be considered for a possible full-length adaptation by Spring Films, and may give them chance to be part of the film production team of Spring Films. Aside from that, each of the top five (5) winning entries will be given a 1-year scholarship grant from the Asia Pacific Film Institute that will harness their talents and interest more and will give them a bigger picture of their dream. Though, there are some that needs adjustment, a few really stood out and made everyone wowed on it. It took us almost 2 hours to finish watching the 15 short films, and right after the film showing, the top winners were announced. For the Professional Category, "Pare Koi" by Marco Subido took home the top award, seconded by "HelloGoodbye" by Zoraya Lua. As for the Novice Category, "Bugtong" by Dorina Naraval got the top award and then seconded by "Jose Pedal" by Athena Mendoza. There's also the People's Choice Award, which is happening now on NUVALI's Facebook and Youtube Pages, where viewers, INCLUDING YOU, can vote! 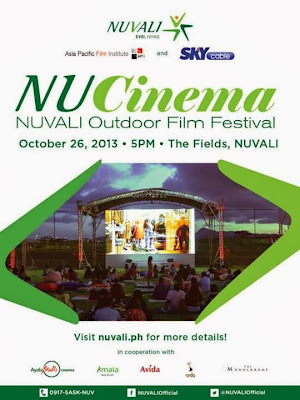 Seeking to relive and pay tribute at the same time to the once-popular drive-in theater experience in the US, NuCinema: NUVALI Outdoor Film Festival is a cinematic endeavor to remember for a long time. Congratulations to the winner and to NUVALI for another great idea to inspire people to live a happy life! Cheers! For more details on NUVALI, you can visit www.nuvali.ph or follow the on Facebook (www.facebook.com/Nuvaliofficial) and Twitter (@Nuvaliofficial).